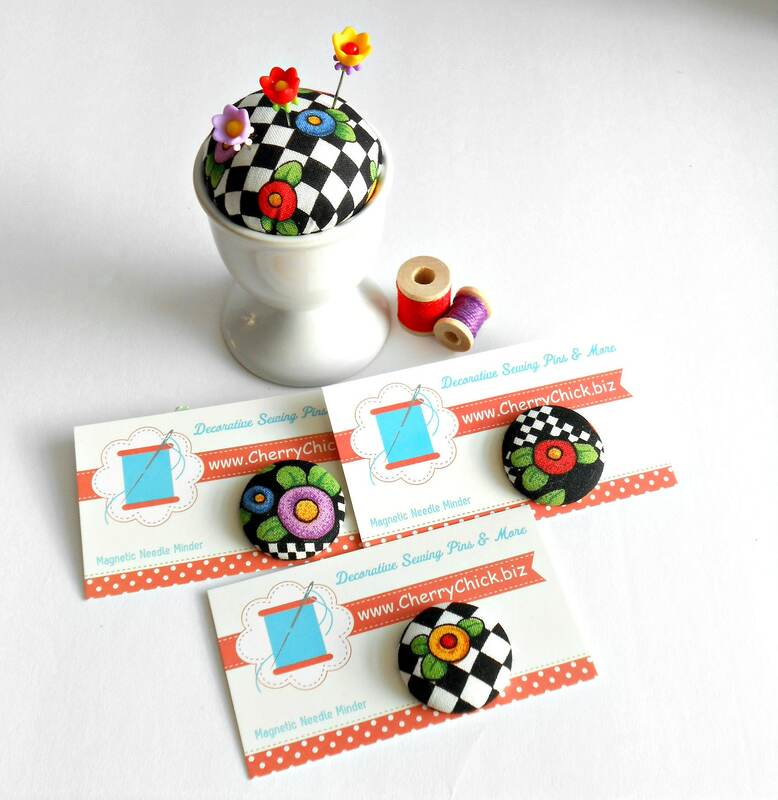 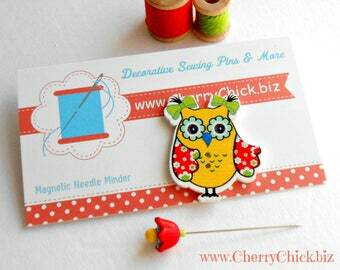 Using my stash of Mary Engelbreit fabric, I have created 1 1/8" fabric magnetic needle minders. 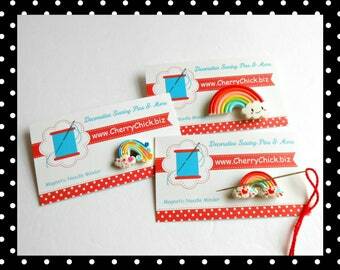 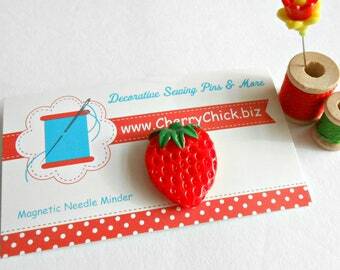 My needle minders are each individually handmade, therefore each one might be slightly different from photos shown here. 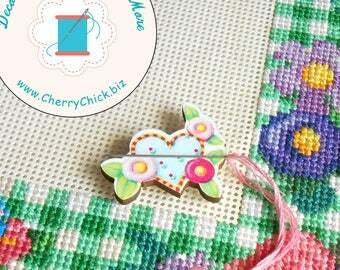 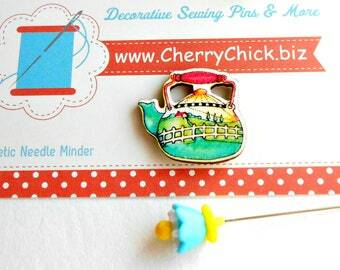 This listing is for one floral fabric needle minder only. You may choose the one you want in the drop down pattern choice menu. 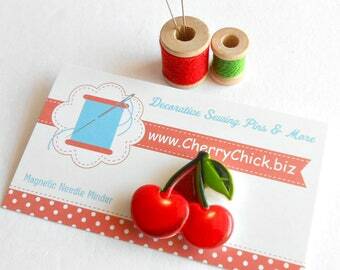 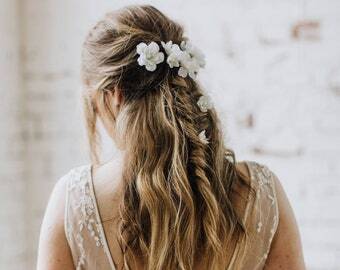 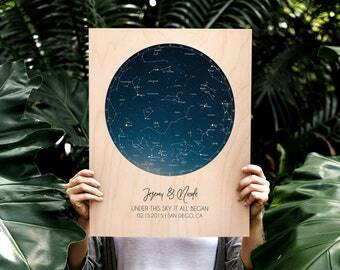 Some photos may contain other items that have been used as photo props. 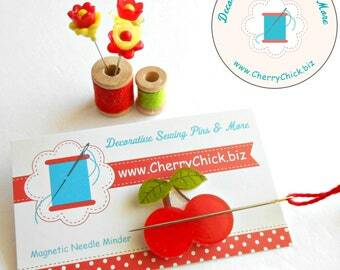 The last photo is of a needle magnet in use. 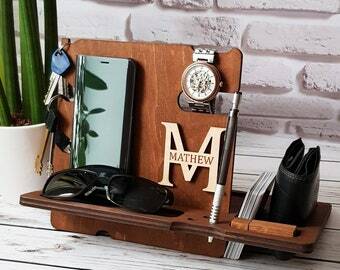 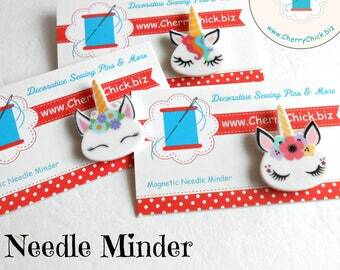 These needle minders provide a place for you to store your needle when it is not in use. 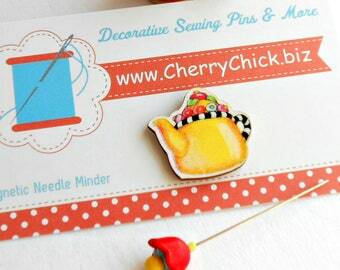 No more wondering where that needle went to until your foot finds it in the carpet. 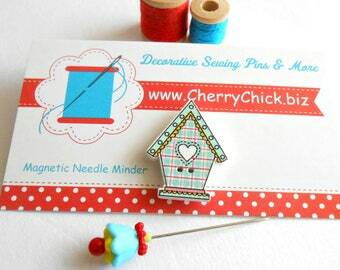 These 1 1/8 inch needle minders are perfect for large and small projects, or get one for each of your projects. 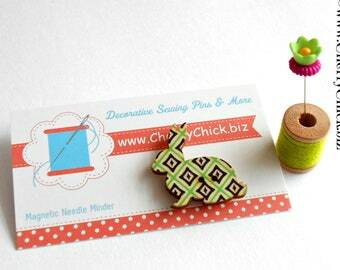 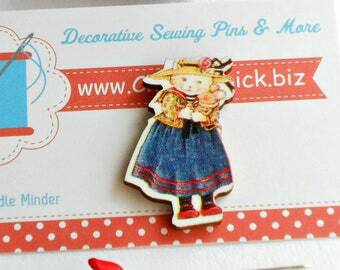 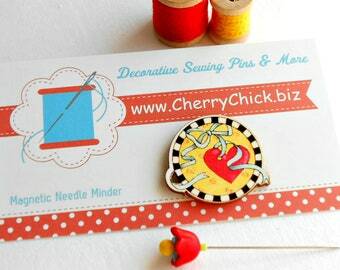 Needle minder is darling too.